If you live on a farm, that might be a sound you’ve heard so often that it no longer registers. If you live in town, though, you might stop for a moment, just a little bit confused. Was that a chicken? 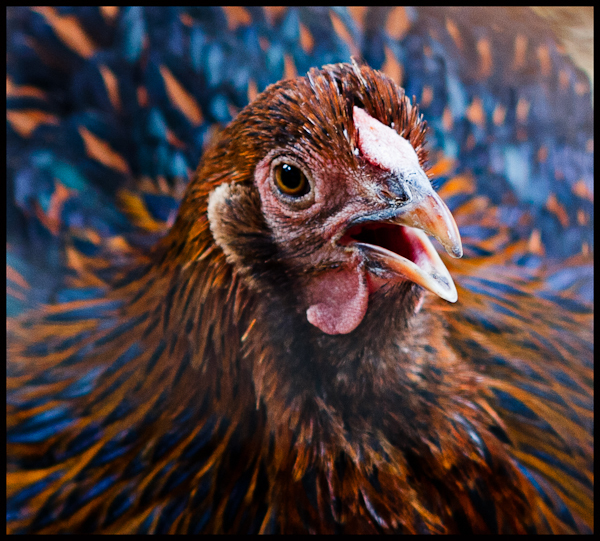 Urban chicken farming has been in the news for years. Proponents say backyard chickens in cities and suburban neighborhoods are the rise. Naysayers say it people who are really in to it are just saying that, you know, maybe exaggerating things just a bit. In Austin, doing things that might not be particularly common elsewhere is just what we DO. 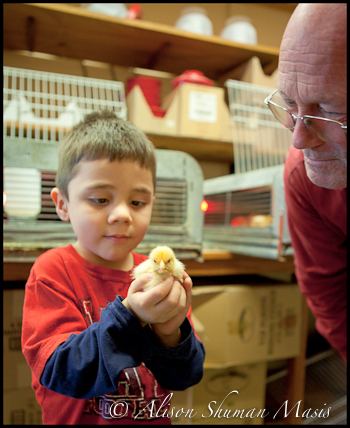 That means raising backyard chickens is already popular here, and the chickens and modern chicken coop aficionados aren’t going away anytime soon. Oh, and since we said, it, we’ll say it again: Lamar. If you ever wonder why Austin is weird, cool and THE place to live, drive up and down Lamar. All the way. End to end. And then hit Burnett (Burn-it, NOT Burn-ette), and the Congress and then eat some barbecue and listen to some live music and then you’ll get it. Oops, I got a little off-track! Back to chicken-chat. 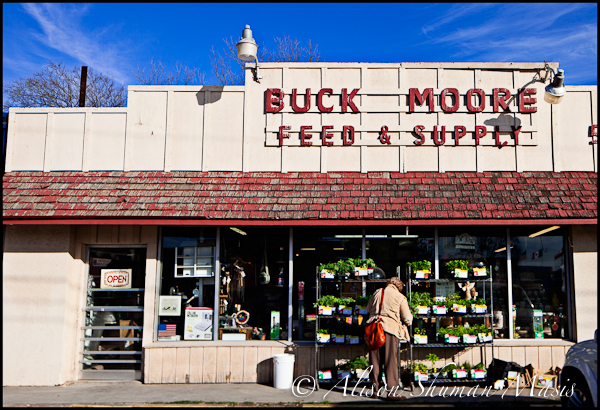 We dropped by Buck Moore for a visit on Friday afternoon, since we find it impossible to resist when someone tells us about a local Austin business that has been around for decades that is thriving despite the challenging economic climate. We found the store personnel, including the original owner’s Son in Law to be exceptionally knowledgeable and helpful, and even let us snap a whole bunch of photos and make a video of the little chickens in the heated cage that takes them from bitty chicks to chicks that are several weeks old and perfect for new owners. This is the kind of store that sells what you need, not stuff packaged and marketed primarily to appeal to urban trend-setters. The floor is clean, but has traces of the real work that gets done in the place – selling feed, and gardening things for your yard. 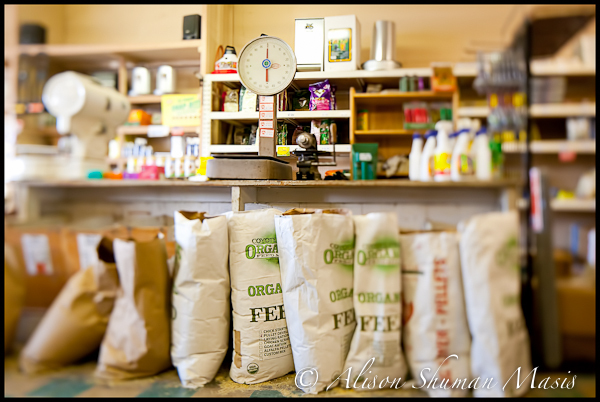 We have a particular affinity for old things, like the old scales and the really really old register. 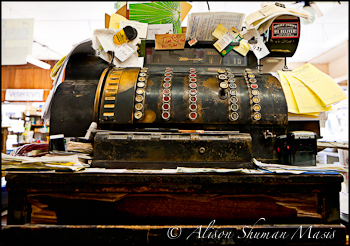 The register has been in use for 70+ years, including about 60 by the current owners. We have so much throw-away stuff, so it is fantastic to see tools that were so well designed and built that they can be used for decades, or closing in on a century. It’s this kind of stuff that helps give Austin character – local businesses, an emphasis on a non-disposable culture, knowledgeable business owners that aren’t watching the clock so they can go home. 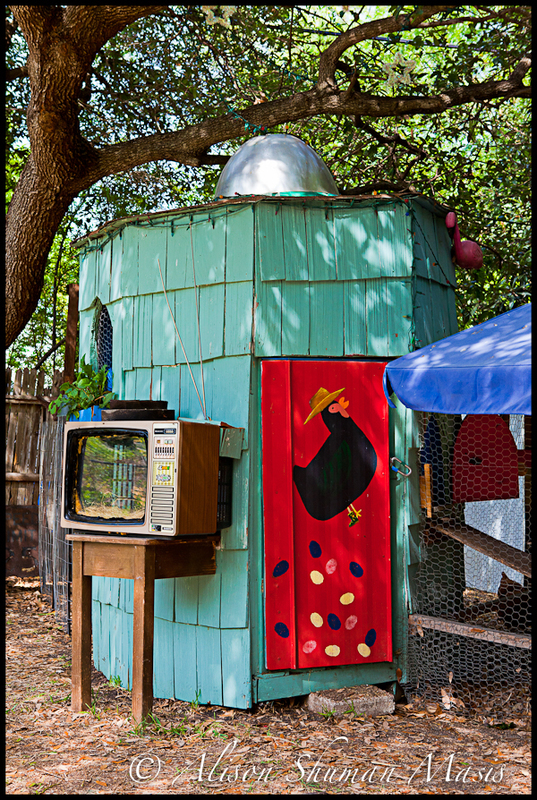 It was by pure chance that I heard about the Austin Funky Chicken Coop Tour three years ago, and zipped around the north central neighborhoods of Crestview and Brentwood, South of Anderson Lane and North of 45th. This year my best friend set up a coop in her Northwest Austin backyard and has 6 exotic egg-laying hens in her backyard chicken flock. Her mother is raising another dozen exotic chickens in her backyard in Wooten, the little neighborhood just north of Anderson Lane and West of 183. The chickens in the photos and the video are from my friend’s flock. I am completely nuts about the one with the mop of feathers on her head – have you ever seen such a funny looking bird? How can it even see where it’s going? And yes, it was giving me what for for taking so many photos of it. We have some friends on the Funky Chicken Coop Tour this year and they said that last they heard, they were told to expect 1700+ people on the tour! That’s a lot of chicken lovers! 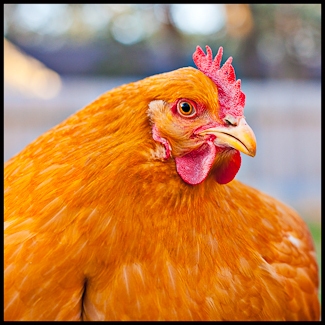 I have been thinking about writing an article about urban chicken farming for months. My kids don’t have a clue where our food comes from. We visit the Austin Farmers’ Markets on a regular basis, but to them that still primarily teaches them that we simply pay for our food, put it in a bag and take it home. It doesn’t actually teach them about food production, agricultural production or about farming at all. Kids need to get their hands dirty. 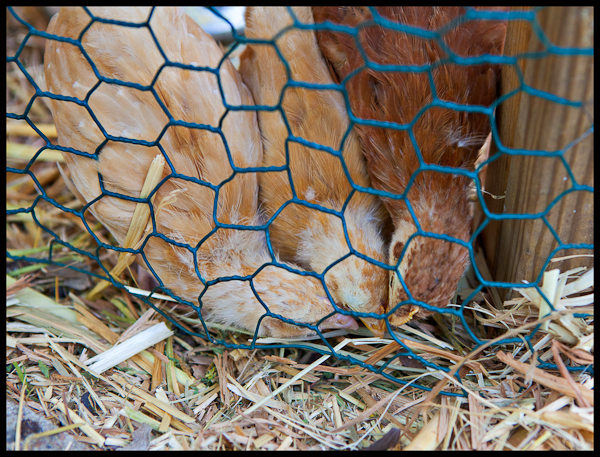 Raising backyard chickens is real work – you have to build the coop, scoop the poop, feed and water them and keep them safe from predators. And if you don’t, they will die, a sad but important lesson they need to learn. 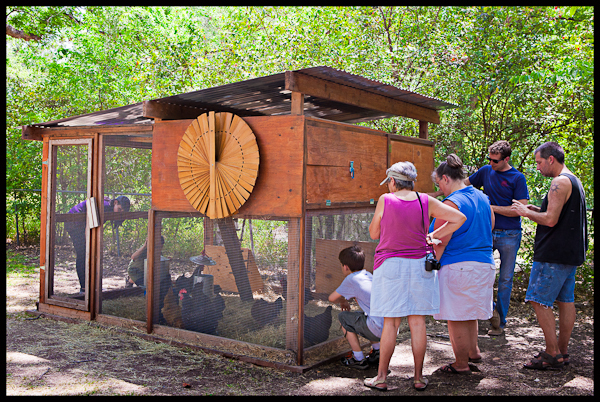 We visit my friend’s chickens, but I sure wish we could put our own backyard chicken coop. Unfortunately, our HOA won’t allow it. Just for kicks and grins, I checked Google’s Keyword Tool for some data on the number of searches for backyard chickens. 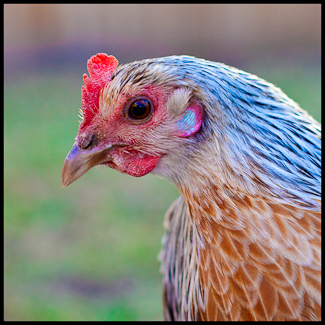 For the most recent reported month, Google reports 33,100 searches for backyard chickens. In a single month! Chicken coops was searched for 201,000 times during the same month. WOW! With that data in hand, I turned to Google Trends which revealed this little gem for the popularity in US regions and cities for backyard chickens. 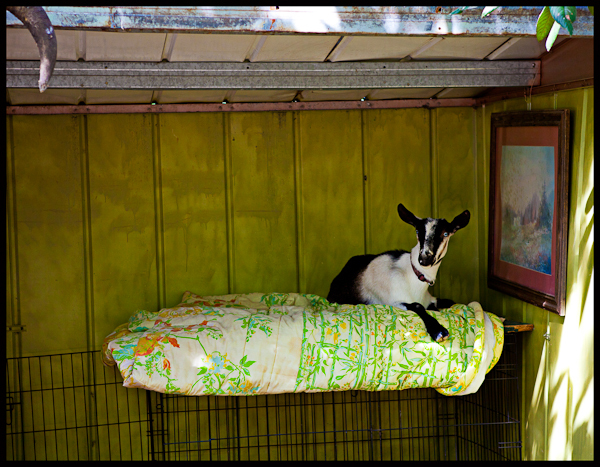 Austin Texas came in at #7 nationally for searches for backyard chickens. I’m not surprised, are you? 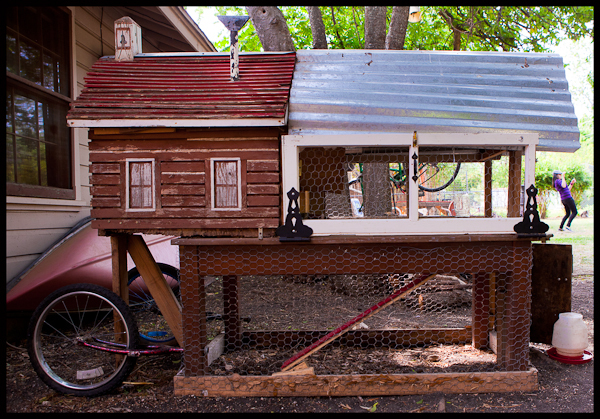 So, set aside some time on Saturday, April 23, 2011 from 10:00 a.m. – 4:00 pm and join the Austin Funky Chicken Coop Tour! Maybe you’ll just have to stop by Home Depot on your way home and load up on the supplies for the invasion of your own backyard flock. We have lots and lots of chickens around here – but they are farm chickens. We used to laugh about the turkey farm by the old family home because they ran a muck – now they would be called “free range”. lol! My mother’s family actually owns poultry farms that breed thousands and thousands of chickens – slightly larger scale than back-yarding it. Lest I want my son to go vegetarian, it might be best he not see the whole chick-to-chicken-to-slaughter-to cooker – to table process. Its not pretty! 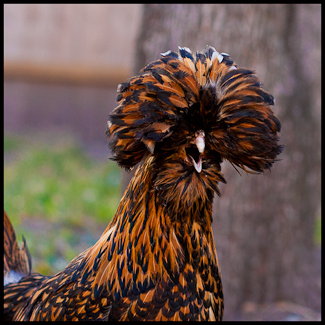 I have to say, the whole exotic chicken thing is pretty neat and your pictures of them are fantastic.. I agree with y’all because my family has this chicken farm from way back in the 70’s and it’s been a tradition that need to pass every generation. This is an amazing post and I was surprised with your data about the Google reports and it’s really is surprising. 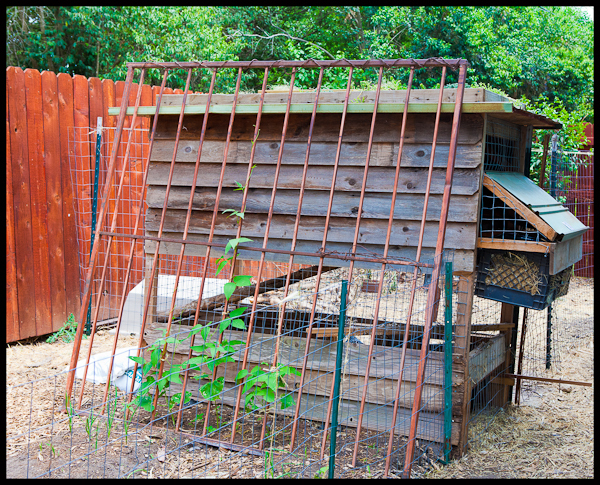 Where can I find information about rules regarding chicken coops? I’m considering a move to a new neighborhood in Hays Country from Travis County. We are about 45 miles East of Austin, just a little past Elgin. Is there somewhere I can post a photo or two? If you email me the photos, we’ll put them up! Send them to alison@theappraisaliq.com. The more the better, and if you have a tale to tell, please share that, too! My husband and I are considering having chickens, does anyone have any suggestions on getting a coop. Any other suggestions would be GREATLY appreciated !! We live outside Pflugerville and have plenty of room. 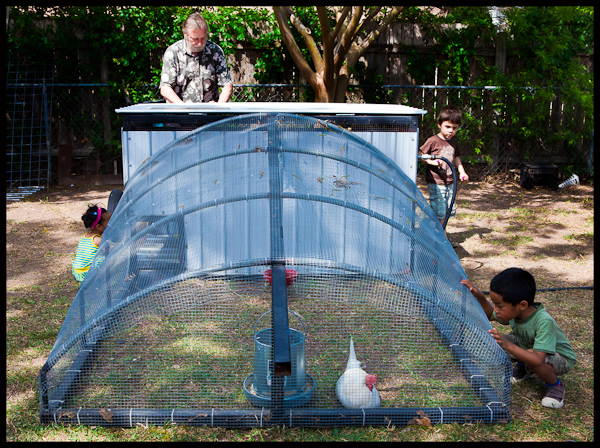 Question… We had 5 laying chickens under a year old and they laid all thru the winter here in Austin. Not THAT cold here. I was told they kind of shut down during the Winter then pick up production in the Spring….. Then we lost two to hawks and replaced them with similar aged chickens. Been 2 weeks and they’re getting along good, but production is WAY down as of…… Are they taking a break NOW or what? I’d appreciate some insight. Have a great day!